This is a convenient area in the backyard. Its about 15 sq feet. 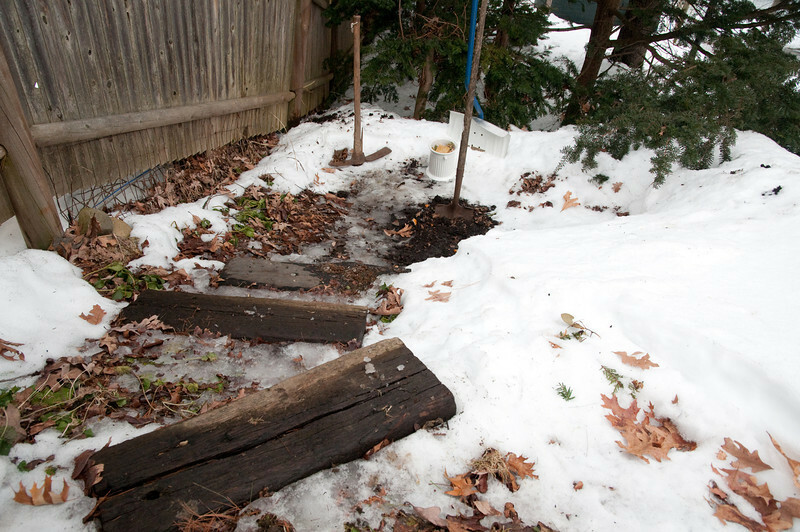 All compost is buried in the ground about a foot deep. Then covered with composting leaves and the mix that came out of the hole. I'll rotate the hole every time I empty, which allows the time for the breakdown to occur. In the winter I rotate less because of the frozen ground.